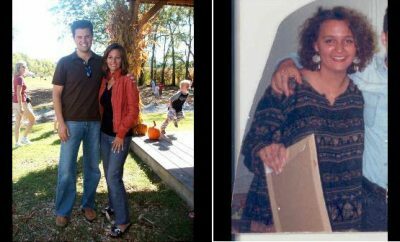 How I Gained It: As a little girl, I gained weight by overeating processed foods, fried foods and snacks combined with the lack of physical activity. I rarely ate any vegetables and ate meat at every meal. Breaking Point: The idea of needing to lose weight has always been on my mind since I was a teenager. However, it was during junior year of college that I really decided it was time for a change. While accepting an award at a National Student Leadership Conference in Washington, D.C., I realized that my weight had become a serious issue. After viewing several photos of myself on stage, I returned to my hometown of Philadelphia, motivated to make a drastic change in my diet and lifestyle. How I Lost It: I adopted a plant-based diet consisting mostly of fresh fruits and vegetables, whole grains, nuts and legumes. I also made sure to do at least 60 minutes of physical activity each day. Riding my bike to and from work, jogging or attending meet ups with some sort of dance or sport involved are just a few examples of the types of physical activity I engaged in. Now, I am more committed to my weight loss journey than I have ever been. 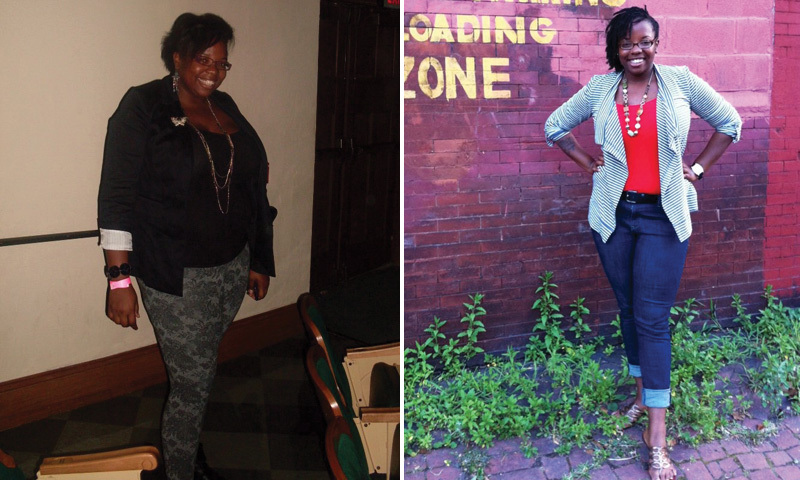 Healthy eating and physical activity have made a huge difference in my life. For instance, I have noticed that my stamina is increasing. There was a time when I could not run for five minutes without losing my breath, and now I am running an hour straight without any problems. I thought my asthma would prevent me from participating in physical activities but over the course of becoming healthier, my asthma rarely bothers me. I was using my inhaler almost daily at one point to not really using it at all. I am more conscious of the foods that I intake, and I keep myself abreast on health issues in the media. Most importantly, the support that I received from my family and friends has been amazing. My progress has inspired some of them to adopt healthier lifestyles and that is truly rewarding for me. Sorry you feel that way, but you shouldn’t knock what you don’t know. Eating what’s healthy and best for your body isn’t sad, it’s to be celebrated.